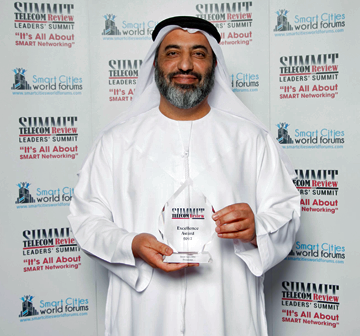 Thuraya has received yet another accolade this year — presented by Telecom Review during their ninth annual "It’s All About Smart Networking Summit" in Dubai, the Satellite Operator of the Year Award was accepted by Ahmed Al Shamsi, Thuraya’s acting Chief Executive Officer. 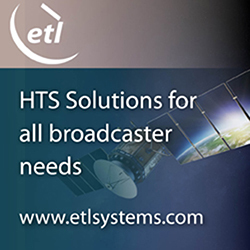 This win concludes Thuraya’s successful performance over the past year that also saw the company winning the “Top Land Mobility Satcom Innovation” category in the Mobile Satellite Users Association’s (MSUA) 2017 Awards and the MSS Operator of the Year in SatellitePro’s Selevision Awards. This year, Thuraya unveiled a number of new products and services including Thuraya SeaStar — a circuit switched voice terminal designed to bring advanced ‘at sea’ communications to small-scale operators; Thuraya WE, the world’s first dual-mode Satellite and LTE hotspot; Thuraya Aero — an airborne data-sharing platform that provides in-flight connectivity on board small to medium sized aircrafts; Thuraya IP M2M - an advanced telemetry solution for IoT connectivity in remote locations that lie beyond-line-of-sight and beyond the range of terrestrial networks; and Thuraya Talk — a first-of-its-kind Voice over IP (VoIP) service allowing customers a convenient way to stay connected and enhance communications for personal and professional use. New agreements and partnerships established this year include an alliance with Gulfsat to launch first-time data services in Kuwait; a partnership with ELSE to expand IoT communication services and lay the foundation for future ‘new wave’ plans and an MoU with Huawei to further public safety ecosystems. Ahmed Al Shamsi, said that these are momentous times for Thuraya as the company has managed to secure multiple wins this year. In the firm's pursuit of maintaining the status of being the most innovative satellite operator, Thuraya will continue to bring greater choice and flexibility to users and as 2018 is embarked upon. Chief Executive Officer of Trace Media International, Toni Eid, noted that his organization is proud to present Thuraya with this well-deserved award. It is great to see just how the company has evolved this year.